Another offering from Richard Seale. 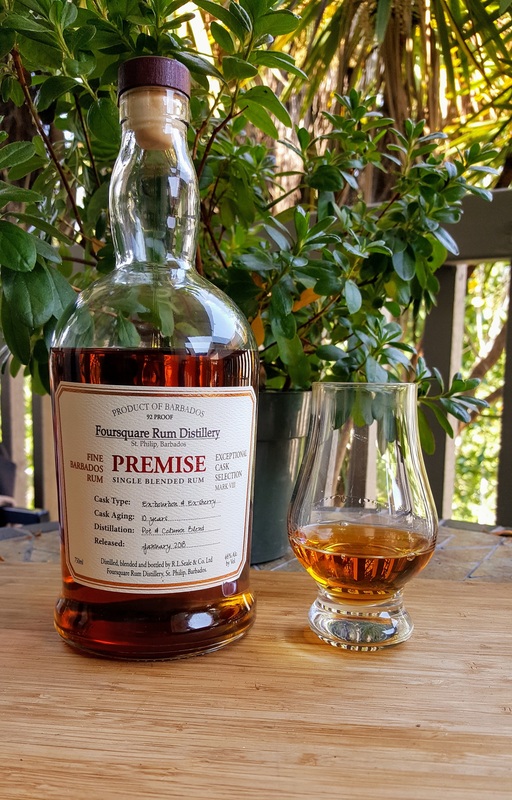 Premise is one of those special barrel bottlings released in the last few years by Foursquare Rum and available in American brick and mortar stores (with good rum collections) for about $55. 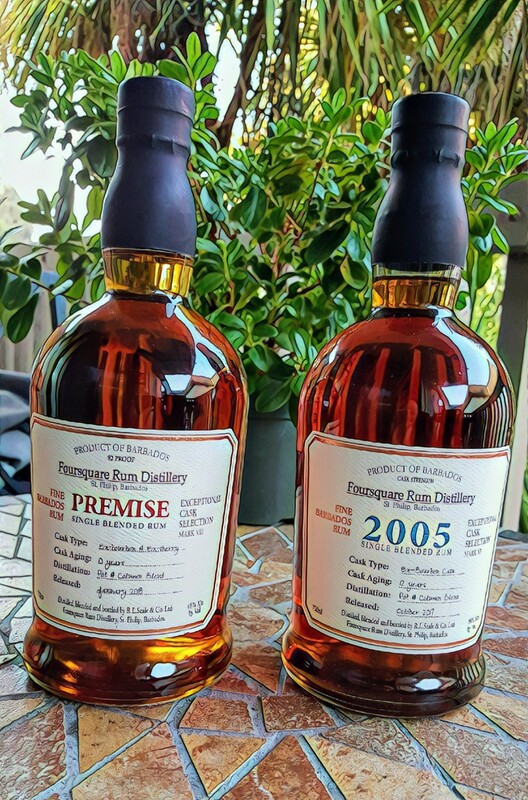 A tad more than the earlier “Port Cask” and “Zinfandel Finish” releases. Although it isn’t in the name I’m told to think of this as a “sherry cask” rum. As in all the other releases, these are supposed to be dry ex-sherry casks, and the rum contains no additives. The rum is a medium amber, not pale, but by no means dark. More brass than copper colored. When swirled in the glass it forms medium thick legs that flow pretty fast. Bottled at 46% ABV a good down the middle strength given the present fashion for “naval strength” rums. Smooth and delicious as it is, it had enough fire going down to convince you there is real alcohol present. The rum is aged 3 years in ex-bourbon wood and then 7 more in ex-sherry wood. More detail can be found here at the fatrumpirate site. On the nose there is intense Caramel, toffee, brown sugar, raisin, even apple or green grape, and maybe light ripe pineapple. Also enough alcohol to push it all out, I don’t get any petrol or varnish notes. This is one sweet and slightly bright-fruity aroma with a little oak thrown in. The flavor is surprisingly sweet maybe sweeter than the port and zinfandel bottlings. 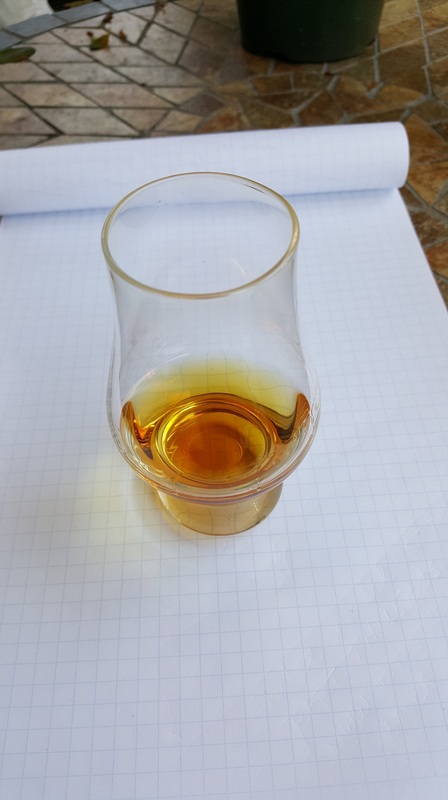 Lots of brown sugar, light caramel, maybe a little tobacco, sherried oak. The sweetness is a little less up front on subsequent sips. Finish is long and sweet, there is no bitterness here. Not a lot of fruit in the flavor for me, but what there is isn’t dark but light. The body is distinctly creamy, a little thick. You know I always drink rum paired with a cigar. It so happens that the only wine I really like paired with cigars is sherry. Needless to say a “sherry cask” finished rum from foursquare was going to hit the spot. It does. Goes well with every stick I’ve tried, 5 of them at this point. A little expensive yes, but if you have developed a palate for unadulterated rums lately you’re going to want to try this one.